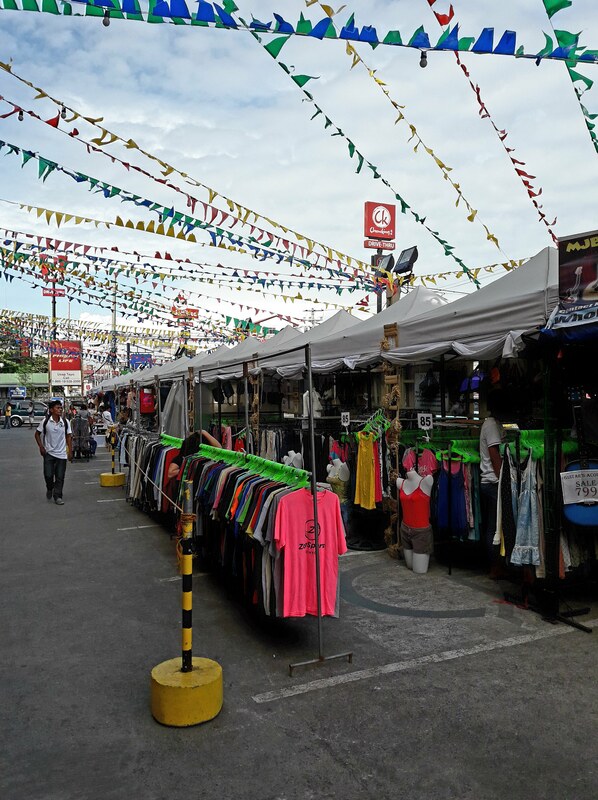 Colorful flyers and lanterns are hanging above the roads, clothing and toy stalls are sprouting like mushrooms, smokes from food vendors’ cooking grills are covering the sidewalks – festivity is in the air in Urdaneta. The feast for 2017 was from December 1 to 10. It was a nice way to usher in the spirit of Christmas. There were lots of events that were held at the city’s cultural and sports center each day. They had beauty pageants, musical competitions, physique contests, sports, etc. 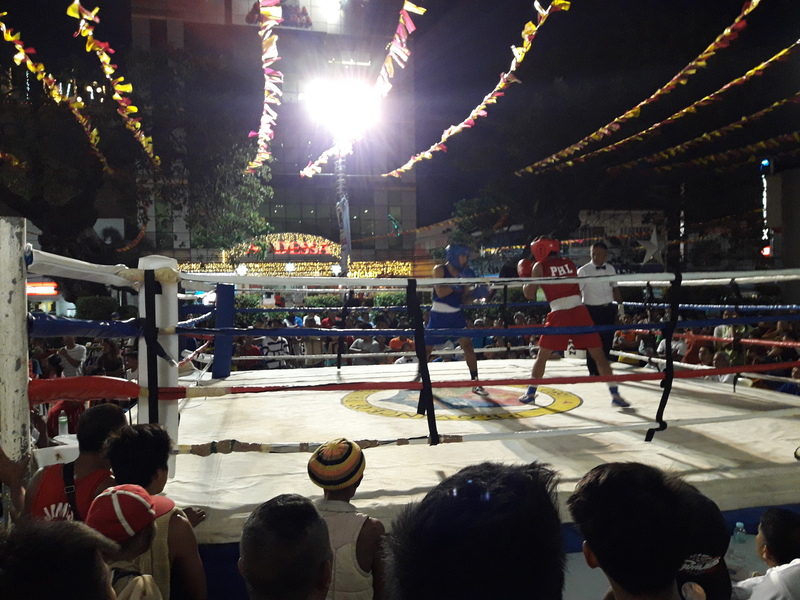 Many activities were also held at different venues like the lantern competition at the city hall, foods and crafts exhibits at the post office area, boxing contest at the Magic Mall parking lot and cycling tour around the city. 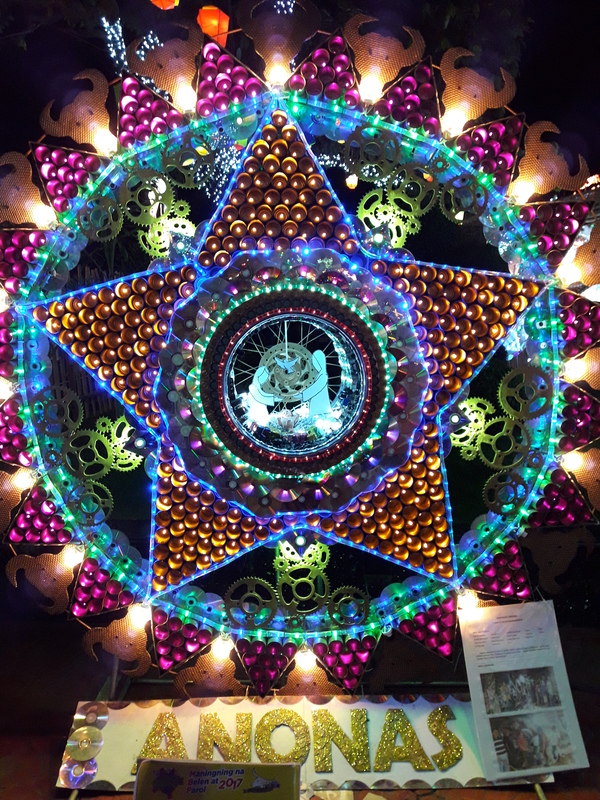 The lanterns at the city hall were very colorful and creative. They lit up the whole front area at night with bright flashing and animated lights. When you get there, you can’t help but say, “Wow!”. Some were made from natural materials like shells and plants. Others were from recycled materials like plastics and metals. Foods and crafts exhibits at the post office also included plants. 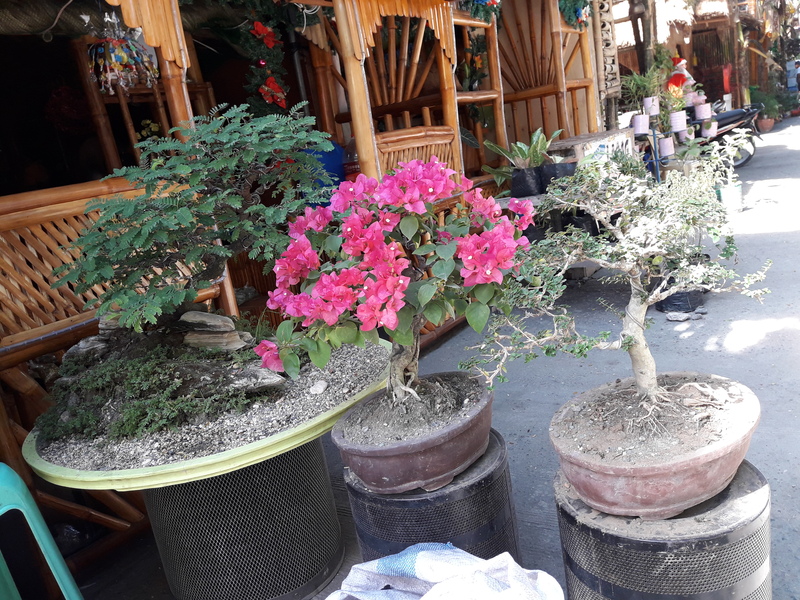 They had bonsai trees, orchids and other ornamental plants. The stalls were quite impressive. They were made of bamboos and Nipa leaves. Some even had a two-storey structure. They were like Nipa huts with a style. I. Oncoming vehicle is flashing its headlights. 1) Move out of the way. He needs your lane to pass another vehicle. 2) Give way. He is going to make a left turn. 3) Don’t try to pass. He thinks you’ll not make it. 4) Go ahead and make a left. Either he’s being nice to let you through or frustrated that you’re blocking his way. II. A vehicle is veering in front of you. Let him pass. It’s your fault if you hit him. III. Don’t be alarmed when a vehicle is driving against the traffic flow on the side of the road. That’s normal. IV. It’s okay to make your own lane to avoid traffic. You’ll be fine as long as you can maintain a space of a couple of inches (measured from the tip of your sideview mirror to theirs) between vehicles. V. The inner lane at the traffic light is for left turn. But others ignore it, so you can make a left turn from where you are if vehicles ahead are not turning. VI. Generally, it’s your duty to prevent traffic jam by letting a vehicle through when it’s entering from the left. You can use the flashing headlights gesture as in rule I.4 above. VII. 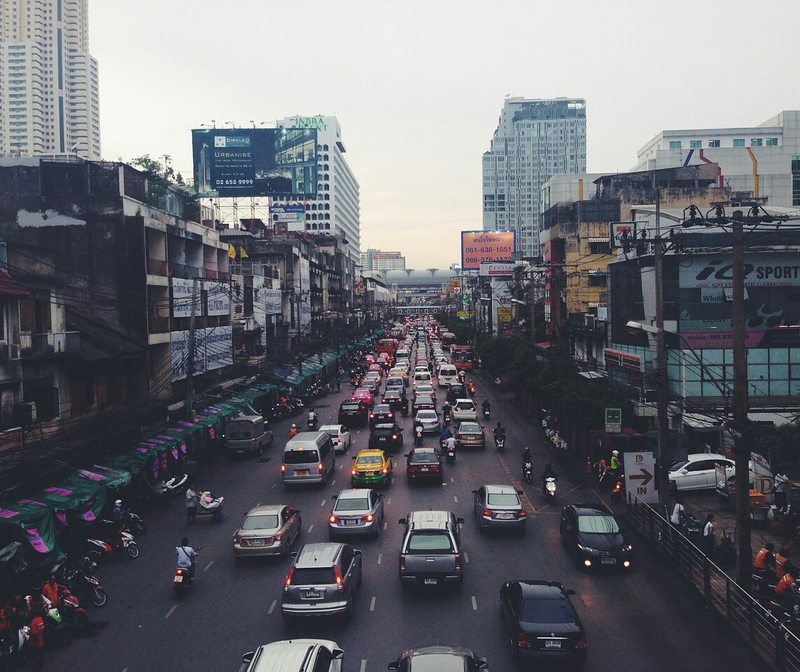 Entering a traffic is a game of psychology. If you wait for the traffic to become clear, you’ll be late for dinner. Instead, poke your way in inch by inch until some driver gives way. This usually works with smaller vehicles, though. Trucks and buses have the priority. VIII. Use your horn liberally. Two short beeps for thanking someone or when passing another vehicle and one to two long beeps if you’re frustrated. Driving around Urdaneta and surrounding towns is similar except for the excessive number of tricycles, motorcycles and trees on the road. 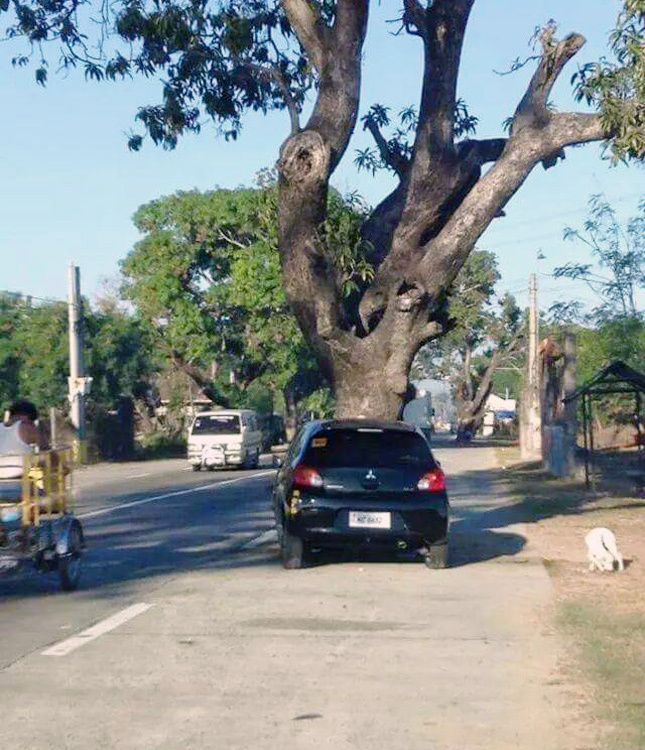 For some reason, trees are not removed when roads are built. This makes travel time estimates on driving apps like Waze rarely reliable. Just like in other places, the common practice is that the inner lane is the slow lane and the outer lane is the passing lane but watch out for the pedestrians, dogs and trees there. No Imodium? Use Guava Leaves! Sometimes it’s unavoidable that travellers get the Montezuma’s revenge specially if they are not used to the drinking water in the area. There’s a place here in Urdaneta City called Bayaoas. Its name means guava in the local dialect. According to the folks here, this place used to be a guava orchard, hence the name. The plant is very common not just here but in all parts of the country. Old people have used it as a remedy for the common diarrhea. 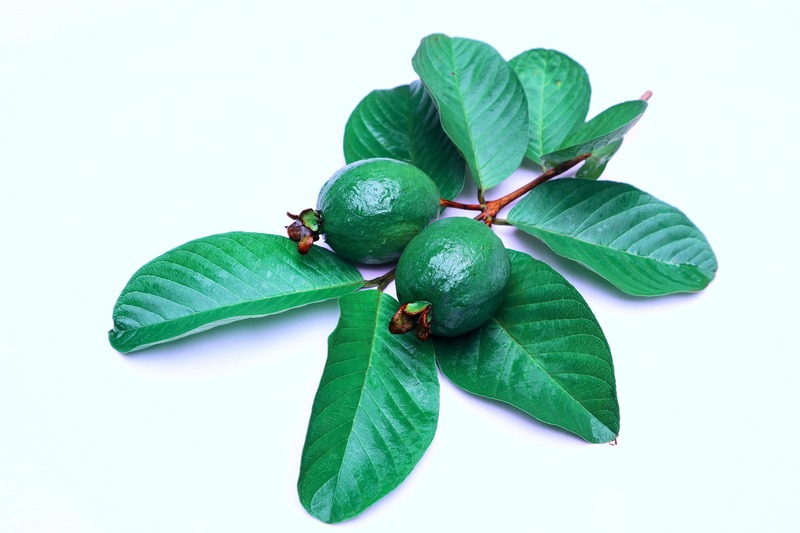 Medical researchers have proven that guava leaves extract helps control the effects of diarrhea. 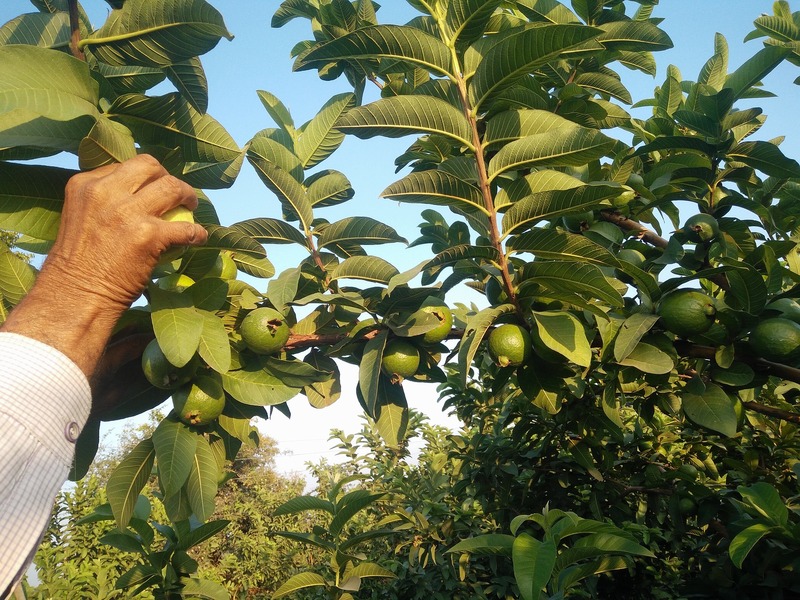 My father’s recipe for making a decoction is to boil about ten guava leaves in a cup of water for about 3 to 5 minutes. Pour the liquid in a cup, let it cool and then drink it. One serving should be enough to ward off Montezuma’s revenge. The Buffet Table is a new restaurant in Urdaneta City that opened just this week. It is located at the intersection of MacArthur National Highway and the Barangay San Vicente road. It’s currently the 2nd buffet-style dining in the city. They had fresh and steamed vegetables for the diet-conscious patrons, roast beef, pasta, noodle soup, pizza, quesadillas and a wide variety of desserts. All these for only ₱199 per person. They are open from 11AM to 7 PM daily except Sundays. For reservations, call 0905 462 4345. We found this newly opened restaurant in Nancayasan along MacArthur National Highway across the Petron gas station. Their Basil Pesto Pollo was very good – the pasta was prepared just right. The Honey Lemon Chicken comes with a fresh lettuce salad with a raspberry vinaigrette dressing. Try their zesty dalandan juice to complement each meal. The basil leaves added to it gives it a nice minty taste. They are open from 10 AM to 10 PM with a break between 2 PM and 4 PM. Hello Friends of Urdaneta City! Just wanted to introduce to you my hometown. It has grown from a quiet town to a bustling city since I left in 1987. We will be exploring together the riches of its culture, crafts, resources and commerce. There is also a link about its neighboring places which I call Urdaneta and beyond! I hope you’ll join me in this adventure. If you are looking for a place to settle in, try Urdaneta City. It is the hub to a variety of interesting places. If you want to cool off and experience the mountain weather, Baguio City is about 2 hours away. If you feel like you want to get wet and walk on a warm sand, beaches in La Union and Pangasinan are from 1 to 4 hours away. If you’re itching to go Mall-shopping, Manila is about 3 to 4 hours away. 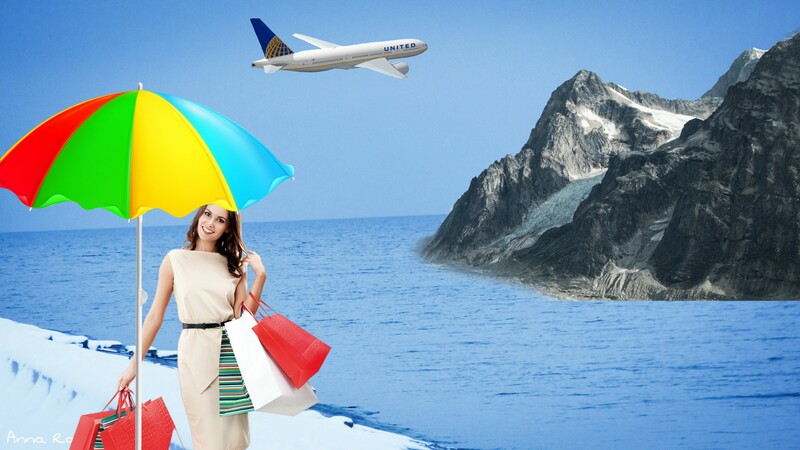 If you’re on an adventurous mood, fly to the other islands in the south or the neighboring Asian countries. Clark International Airport in Angeles City is about 2 hours away. Or the NAIA International Airport in Manila which is about 3 to 4 hours away.